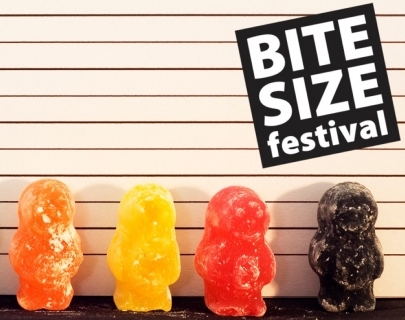 Bite Size Festival returns with another exciting programme celebrating and promoting the best new work from the Midlands, giving you the chance to sample a range of great theatre in one place on one day. Expect a diverse and exhilarating collection of shows from well-established companies alongside those you may not have seen before. You’ll have the chance to experience pieces in development, excerpts from brand new productions and some that are fully finished and ready to go. Following the 2015 First Bite Festival – check out the two shows commissioned with Warwick Arts Centre and MAC Birmingham: Humanish’s Holy Presents and Stephanie Ridings’ The Road to Huntsville, and look out for three new pieces developed in the South East with our 2015 partner Greenhouse. You can also catch The OakMobile, a free, outdoor performance from Talking Birds taking place between 11am – 2pm and 3pm – 6pm. All the day’s events are split into three shows and four sessions. Tickets for each Bite Size session can be purchased individually. Or you can make the most of the fantastic Day Pass offer that lets you see all the events for just £35. Day passes are limited, so book early to avoid disappointment.